Our Sun in all of its glory is just one of over 200 billion stars in our galaxy, the Milky Way. As a very ordinary and perhaps boring star it harbors an extraordinary system of 8 planets, over 150 moons, a host of sun grazing comets and a plethora of dwarf worlds and asteroids all orbiting at its gravitational mercy. Our solar system has provided us with the most detailed information about planets and their environments all conveniently located in our back yard. 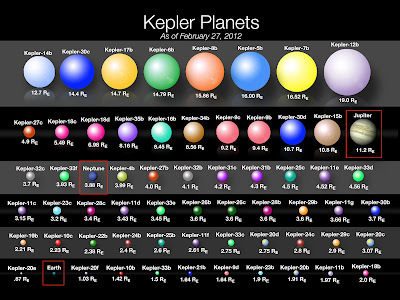 But ours is not the only planetary system out there. Alien worlds have long been embedded in our collective consciousness be it through film, TV, or literature. Yet it was not until 1995 that science fiction truly became science fact when Mayor and Queloz discovered the first alien planet orbiting a star similar to our Sun just 50 light years away. But this new discovery was not quite what everyone was expecting. As a stars gravity pulls a planet around in its orbit, the planet also pulls on the star. The bigger the planet and the closer it is to the star the greater the pull it has. This causes the star to wobble backwards and forwards as the planet makes its way from one side to the other side of the star each time it orbits. By observing the stars spectrum we can see the shift in the absorption limes as the star is forced backwards and forwards by the planet. From this type of observation Mayor and Queloz revealed a world that was astonishingly similar in mass to that of Jupiter, the largest planet in our solar system, in an orbit that took it eight times closer to its star than Mercury is to the Sun at just 7.8 million kilometers from its star compared to our comfortable 149 million kilometers. This exoplanet, 51 Pegasi b, sparked interest around the world and provided a number of scientists, who had strange ideas about observing planets orbiting other stars, some hard data to stand on. One of those scientists was Dr William Borucki, who since 1984 had been designing and submitting a mission proposal to NASA for a space telescope dedicated to hunting for exoplanets. I would, however, not be until 1995 with the first concrete observations and a long development period that Borucki’s vision would be accepted and launched by NASA. 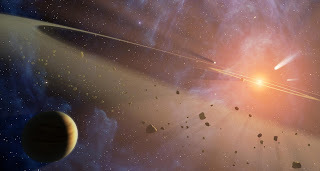 That mission was the Kepler space telescope which, since its launch in 2009 has been the most prolific source of headlines getting exoplanets in the media and out to the general public. Kepler relies on the chance phenomenon of the exoplanetary system being aligned 90 degrees to our own, meaning that part of the planets orbit takes it between its star and us, similar to the transits of Mercury and Venus in our own solar system. 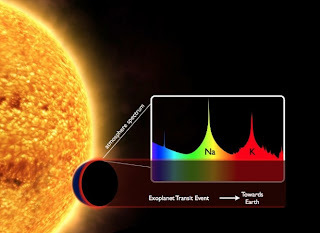 As the exoplanet transits it blocks out a small fraction of the starlight. The amount of light that is blocked can tell us a lot about the planet and its environment such as its radius from the amount of light blocked and the length of its orbit from observations of multiple transits. This method, however, still favors the close-in giant planets that appear to populate our galaxy, as the larger the planet relative to the size of the star the more light they will block out and the easier it is to observer, and the closer they are to their star the shorter their year is so the greater number of transits that can be observed in a short amount of instrument time. This means that in order to observer an exoplanet roughly the same size as the Earth orbiting a star similar to the Sun with a one year orbit, we need continuous observations of a large number of stars over a number of years. That is exactly what Kepler is doing now and with every additional year of the mission we explore a different sub-set of potential exoplanets. The transit of exoplanets offers us a unique opportunity to observe the planets atmosphere. As the planet passes between its star and us, some of the starlight shines through the planets upper atmosphere before reaching us. 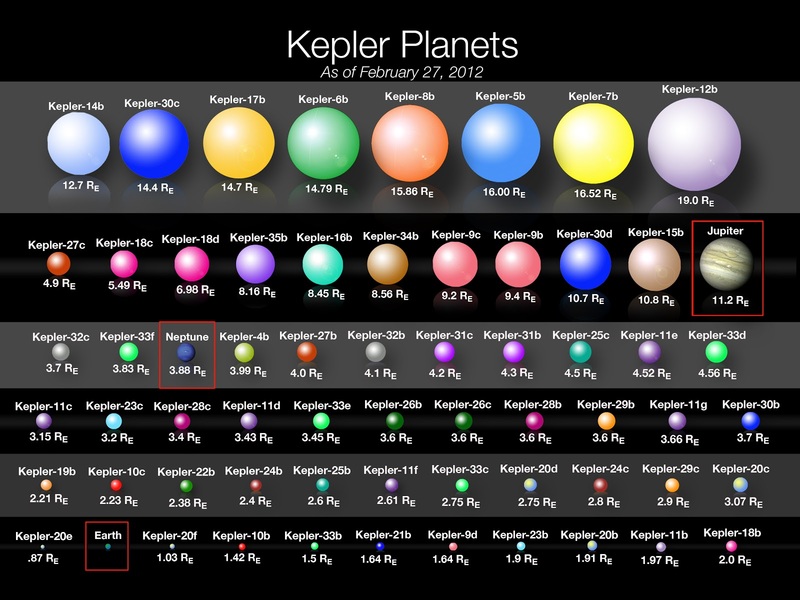 Like on the Earth, different parts of the atmosphere absorb different amounts of the starlight at certain wavelengths. So imprinted on the observed starlight, as weak absorption lines, are the tale-tale signatures of various gasses allowing us to build up a spectrum of the exoplanets atmosphere. Ultimately helping us determine the nature of the environment in which it exists and the potential to work out how it formed. This is unfortunately not as easy as it sounds and although a number of chemical species have been identified in a handful of worlds the application of this technique to exoplanets is still in its infancy. The study of exoplanets is at a fantastic stage of discovery, where curiosity and ingenuity combine, taking us from the Wright brothers flying a few feet across a field to Amy Johnson flying solo half way around the world. Be assured there are going to be more unbelievable discoveries coming our way from the exoplanet community in the not so distant future so keep an ear out.